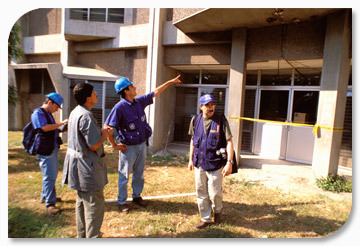 The purpose of a damage assessment and needs analysis (DANA) process is to describe, as quickly and objectively as possible, the health impact of an adverse event, while considering the response capacity of the sector and ascertaining what additional resources are required to address immediate and future effects. The DANA supports decision-making and thus save lives and limits the health consequences and socioeconomic losses. The health authority is responsible for assessing, reporting, and coordinating interventions to protect and recovery of the population’s health. Speed is a critical element in terms of gathering and analyzing information because information is often limited in the initial hours after a disaster and therefore relief efforts are often conducted in a climate of uncertainty. That is why it is important to assess hazards and vulnerabilities before an emergency situation and have a general idea of potential risks—in this way, decision makers will have a valuable source of information while data is being collected from the disaster-affected areas. With the help of experts from the Region, PAHO has designed standardized formats for rapid damage assessment and needs analysis in the health sector. These are useful tools when carrying out a rapid assessment of the sort that can be called for in an emergency response situation. It is important that the health sector be familiar with these tools before having to use them in an emergency.